The author of the critically admired, award-winning A Replacement Life turns to a different kind of story—an evocative, nuanced portrait of marriage and family, a woman reckoning with what she’s given up to make both work, and the universal question of how we reconcile who we are and whom the world wants us to be. 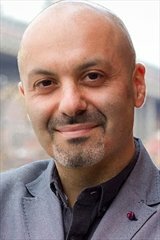 Maya Shulman and Alex Rubin met in 1992, when she was a Ukrainian exchange student with “a devil in [her] head” about becoming a chef instead of a medical worker, and he the coddled son of Russian immigrants wanting to toe the water of a less predictable life. At once a salvation and a mystery to his parents—with whom Max’s biological mother left the child with the cryptic exhortation “don’t let my baby do rodeo”—Max suddenly turns feral, consorting with wild animals, eating grass, and running away to sit face down in a river. Searching for answers, Maya convinces Alex to embark on a cross-country trip to Montana to track down Max’s birth parents—the first drive west of New Jersey of their American lives. But it’s Maya who’s illuminated by the journey, her own erstwhile wildness summoned for a reckoning by the unsparing landscape, with seismic consequences for herself and her family. 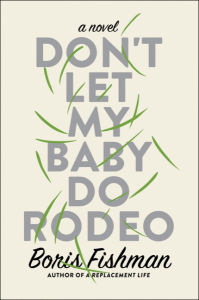 Don’t Let My Baby Do Rodeo is a novel about the mystery of inheritance and what exactly it means to belong.